Coutinho started for Brazil, who’ve already qualified for World Cup 2018, against Bolivia last night. But in truth, it was a very frustrating evening for Phil, Neymar and Gabriel Jesus – who came up against Bolivia’s outstanding keeper Lampe. The stopper proved impenetrable and the match ended 0-0. 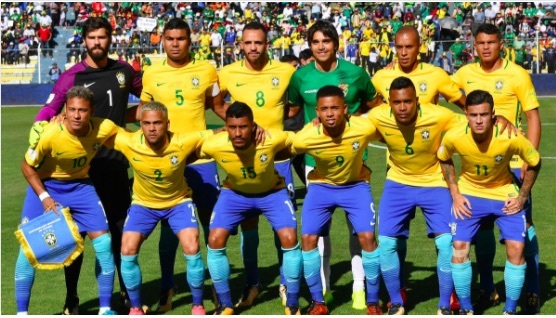 At one stage, Brazil manager Tite turned to the stands and applauded the goalkeeper, who was denying the world-class attackers on every occasion. He genuinely made about five outstanding saves and deserves applause for his performance. Coutinho was pulled off early for Willian after doing very little, but he’ll likely play against Chile in a few days’ time. If Brazil lose to Chile, it could mean Argentina miss out on World Cup Qualification, so all eyes will be on the fixture.